When something breaks down in a property that you’re renting, you’re not responsible for handling it. All you have to do is contact your landlord or administration office and they’ll take care of the rest. You also will save money by not having to worry about items such as home insurance and real estate taxes. Maybe you’ve planned your whole retirement with the idea that you’re going to live in Arizona, but after a couple a months, you realize it’s not exactly what you were hoping for. When you rent, you don’t have to deal with the hassle that can sometimes accompany selling a home. Renting may also a good idea if you’re not quite sure where you want to retire and want to try out a few places. As any renter could tell you, a major downside to renting is not being able to decorate your home how you would like. With a home, you can stay there until you decide to leave. When renting, the landlord may decide to raise your rent or decide to sell the residence, forcing you to move. Anytime you buy, the home is 100% yours. You can make modifications as you see fit, have pets, rent out the basement, etc. 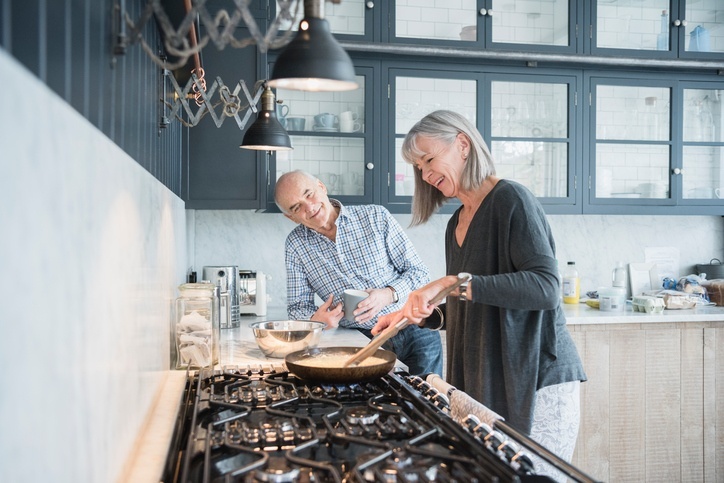 If a mortgage payment plus other homeownership costs don't hinder your new fixed income, building equity in a home can be a great benefit to your heirs when it comes time to sell. On top of your fixed monthly expenses, there are also unexpected costs that come along with owning a home. You may not have the money on hand for a broken air conditioner, a leaky roof, or damaged pipes. While you do have access to the equity in your home for repairs, it may take longer than you expect to gain access to those funds.